Located 19 miles from San Francisco, the city of Belmont covers 4.6 square miles with a population of approximately 26,000. Belmont is known for its wooded hills, views of San Francisco Bay and stretches of open space. Belmont is a quiet residential community in the midst of the culturally and technologically rich Bay Area. Belmont’s residences are noted for eclectic architecture, hillside construction and views. – Belmont prides itself on being unique. – Its small town ambiance set it apart as a tranquil, safe and desirable place to live. – We get involved in town matters because we care about living here. – We connect with each other in all kinds of gathering places. – Our strong sense of community and enjoyment of the town’s assets and activities deepen as we become better informed and connected. In 2009, Belmont adopted an ordinance that bans smoking in city parks, all business and all multi-story apartments and condominium. It has been described as the strictest anti-smoking law in the nation. 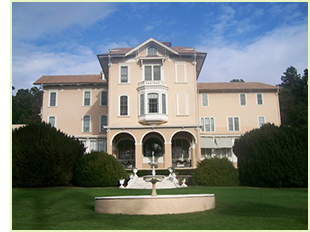 Belmont’s attractions include Ralston Hall, an historic landmark on the campus of Notre Dame de Namur University, the College of Notre Dame, Belmont city library, Waterdog Lake, Carlmont Shopping Center, Twin Pines Park and Recreation Center, Belmont Historical Society Museum and the home of Oracle.